You have a pet rabbit. You are feeding it the recommended diet, and you take care to clean the cage daily. What other things should you look out for? It’s important to keep your bunny’s nails trimmed. Really long nails easily get hooked on objects and cause distress. Rabbits need their nails trimmed regularly. If you choose to do this at home, you must be careful. Rabbits get nervous and are easily stressed if handled incorrectly. You must first learn how to properly hold a rabbit, as they can kick hard if improperly restrained and could break their back. If they jump out of your arms or off a table, they can break a leg which is a painful experience for your rabbit and not easy to treat. 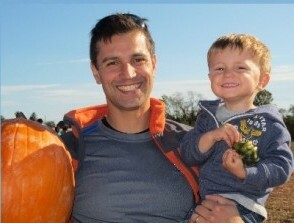 We teach adults and children how to properly hold and carry a rabbit. The rabbit’s head should be tucked into your arms, and your forearms used to support the rabbit along the entire back and beneath the belly. Bundle it in a blanket, which we call a “bunny burrito.” This will help the rabbit remain calm. Never pick up a rabbit up by its ears. If you would rather take your pet to the animal hospital, a vet technician can do the job of nail trimming for you. Cat carriers are perfect for transporting your pet. A healthy rabbit will defecate small, pelleted stools daily. However, if you notice diarrhea, consider this an emergency. Just as not defecating at all every day is cause for concern, diarrhea requires a veterinary exam to determine the cause and prescribe treatment as soon as possible. Typically, a healthy rabbit will go through a few shedding cycles each year. However, if you notice bald spots on your rabbit’s body, this could indicate a problem with mites. Mites are invisible little bugs that can’t be seen without a microscope. They can be introduced in many ways, including through the hay you feed or on shoes you wear indoors after walking through the yard. Mites are easy to treat, and it’s better not to delay your appointment with your veterinarian. This condition is responsive to antibiotics most of the time. However, if left untreated, it can lead to pneumonia. A trip to your veterinarian is in order if you notice symptoms. 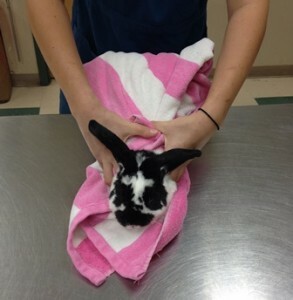 Sometimes a rabbit will present a Pasteurellosis abscess in their skin, liver or body. This is a medical issue. 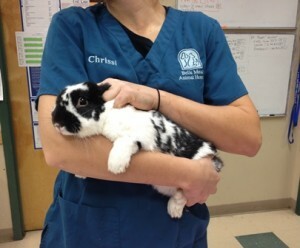 If your rabbit develops a new lump or bump on its skin, don’t delay contacting your veterinarian. Please don’t hesitate to call our office if you have any questions. 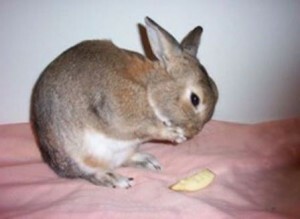 This entry was posted in Exotics, Veterinary Medicine, Veterinary Services and tagged Bunnies, Exotics, Pet Health, Pet Wellness, Pets, Rabbits, Veterinary Medicine, Veterinary Services. Bookmark the permalink.